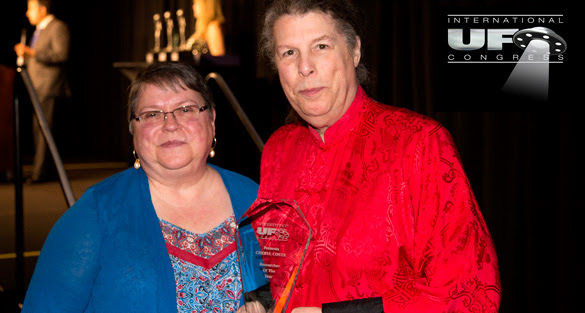 This year’s UFO Researcher of the Year Award went to journalist and author Cheryl Costa! This video reviews her background and the reasons she received the award. 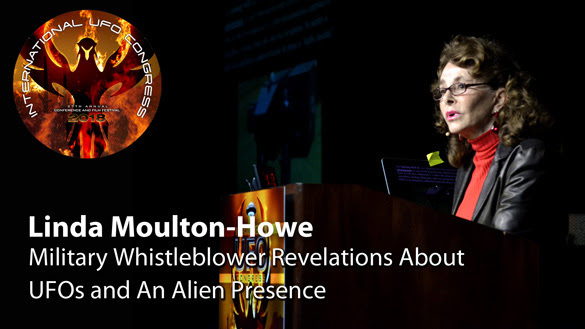 The EBE Film Festival is a celebration of ground-breaking films which push the limits with their exploration and study of UFOs and related phenomena. 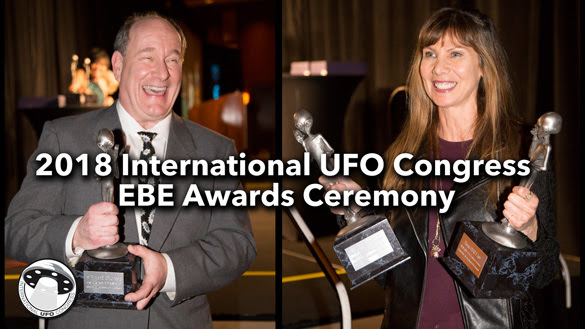 The UFOTV sponsored EBE Film Festival runs throughout the International UFO Congress. Aerospace trade publications, visual reports and personal interviews with test pilots and engineers confirm the existence of multiple highly classified aerospace vehicles. These include boomerangs, black triangles, diamonds, arrowheads, and Spaceplanes/Trans Atmospheric Vehicles (TAVs). Funded by the so-called “black budget,” many of these programs are exempt from congressional oversight and public scrutiny. Developed along the famous “aerospace alley” region of southern California, many of these USAPs represent America’s super-secret “ace in the hole,” and provide a unique “power projection” capability for multiple military and intelligence agencies. 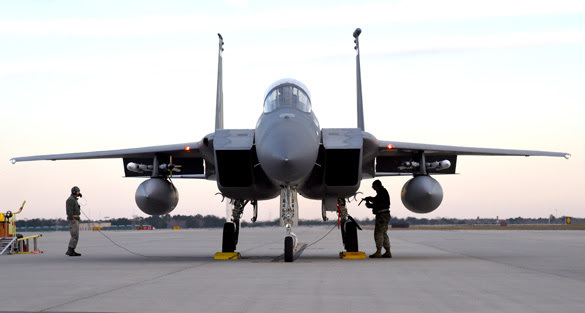 Companies such as Lockheed, Rockwell, Northrop, McDonnell Douglas and Boeing made tremendous advancements during the “Reagan build-up” era, and many of these programs have now passed their “sunset” duration of deployment. Therefore, it’s now time for a re-examination of these programs and a renewed push for the “dis-lodging” of those that can be declassified without representing any threat to the national security of the United States. 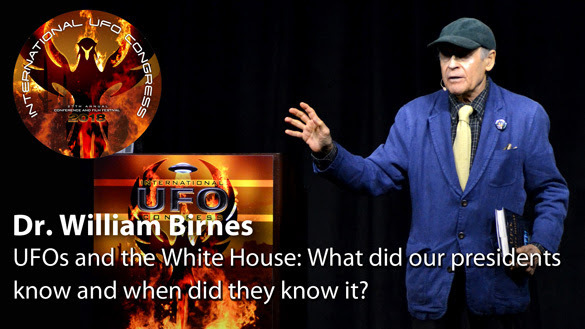 Bryce Zabel, author, film and television producer/director/writer and former CNN correspondent returns to discuss post-UFO disclosure on Open Minds UFO Radio! Bryce Zabel has a long list of achievements in the feature film and television industry. Much of this includes UFO and alien related projects. This includes writing and producing the NBC series Dark Skies and the Syfy movie Official Denial. He also was on the writing staff of Steven Spielberg’s Taken and ABC’s Lois and Clark (don’t forget, Superman is an alien). More recently, he co-wrote the bookA.D. 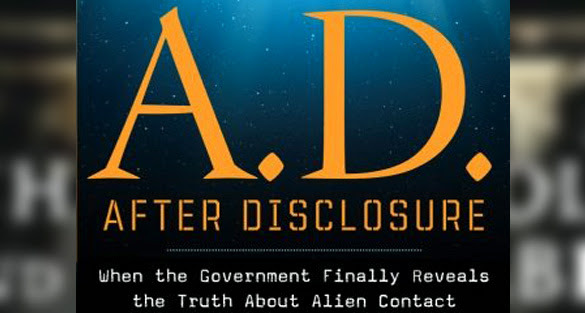 After Disclosure: When the Government Finally Reveals the Truth About Alien Contact with Richard Dolan. He is currently working on two UFO related movies. One is about the Betty and Barney Hill abductions and the other is a movie about the work of Roswell researchers Stanton Friedman and Don Schmitt. 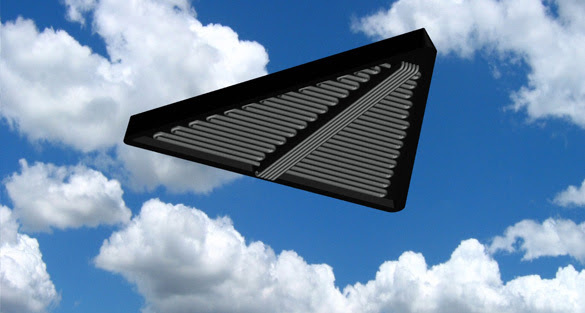 Michael Schratt discusses black triangle UFOs on Open Minds UFO Radio! Michael Schratt is a military aerospace historian. He has lectured across the country on the subject of “Mystery Aircraft” and classified propulsion systems buried deep within the military-industrial complex. His speaking engagements include the “OSHKOSH” AirVenture 2006/2007 event, (the world’s largest air show). Michael has developed many contacts with first-hand experience dealing with classified “black programs,” including former USAF pilots, retired Naval personnel and aerospace engineers who have maintained a TOP SECRET Q “MAJIC” clearance. He has written for Open Minds Magazine and OpenMinds.tv and currently works as an aerospace draftsman/researcher in Arizona. 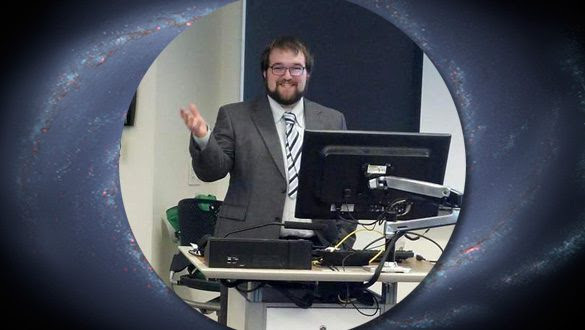 Chris Cogswell discusses the science of UFO research on Open Minds UFO Radio! Chris is the (recently former) Mutual UFO Network (MUFON) Director of Research. Chris received his PhD in Chemical Engineering focusing on the study of nanomaterials for use as catalysts and adsorbents from Northeastern University. He has a bachelors degree in chemical engineering and philosophy from the University of New Hampshire. He hosts a podcast on the history and philosophy of science and fringe science claims, and is interested in how technologies and sciences are accepted by societies. 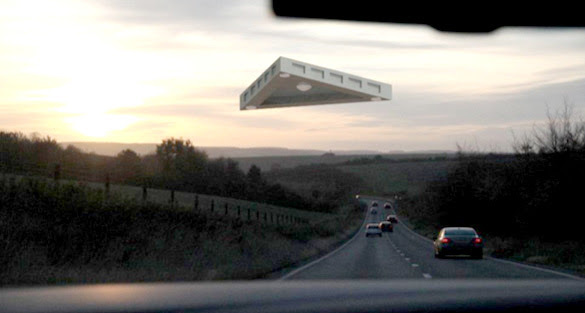 In this episode, we talk about the science of UFOs, including researching the mysterious metamaterials that may have been obtained during the Pentagon’s UFO investigations.